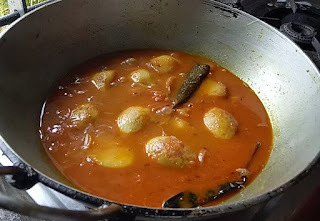 Hi friends Today I will show you how to cook egg curry recipe. It is so easy to make and delicious to eat. The method is as follows: place the eggs into a saucepan that is the right size so that they sit comfortably and don’t crash into one another. Bring the water up to boiling point then turn to a simmer, put a timer on for 6 minutes if you like a bit of squidgy in the centre, 7 minutes if you like them cooked through. As soon as they are cooked drain off the hot water. 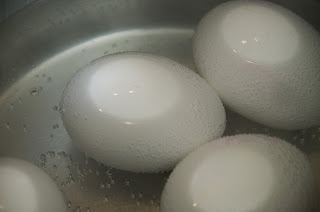 after boiling eggs remove the shells and discard. 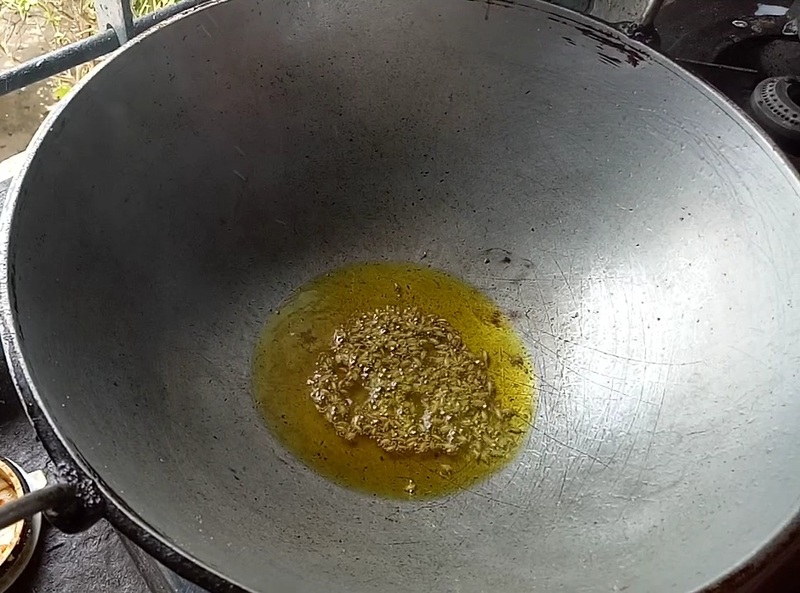 1. first add 1/2 Cup Mustard oil to a pan and heat it carefully. next add 3 piece eggs and fry for 2 to 3 minutes. after compleating fry , pickup the eggs. 2. again add 1-1/2 cup Mustard oil your cooking pan and hit it. then add the cumin , next add garlic paste and ginger paste. 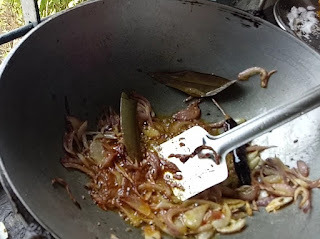 fry until it turnes slightly gold colour and not burnt. 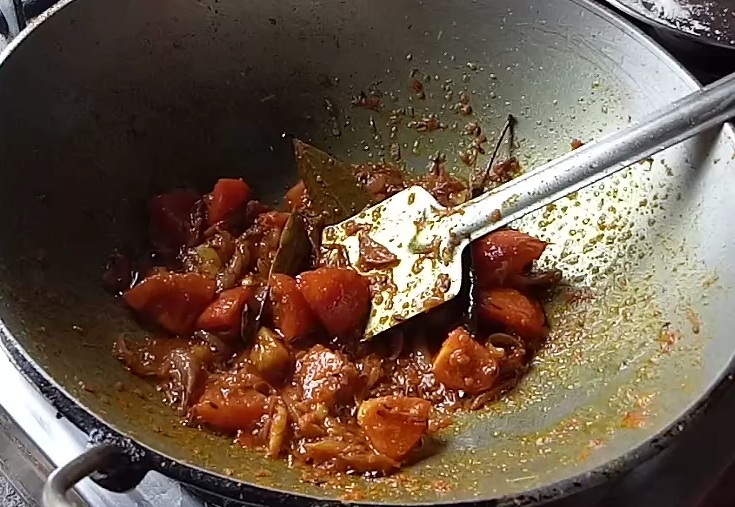 3. add chopped onion , 4 piece dry red chili , 1/2 tbs turmeric powder, 1/2 tbs salt and 1/2 red pepper powder, 1/2 tsp coriander powder. fry till they turn golden. 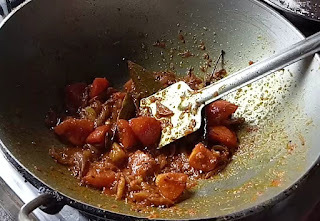 4. now the time has come to add tomato cubes fry for 2 minutes and add water as needed and stir well. 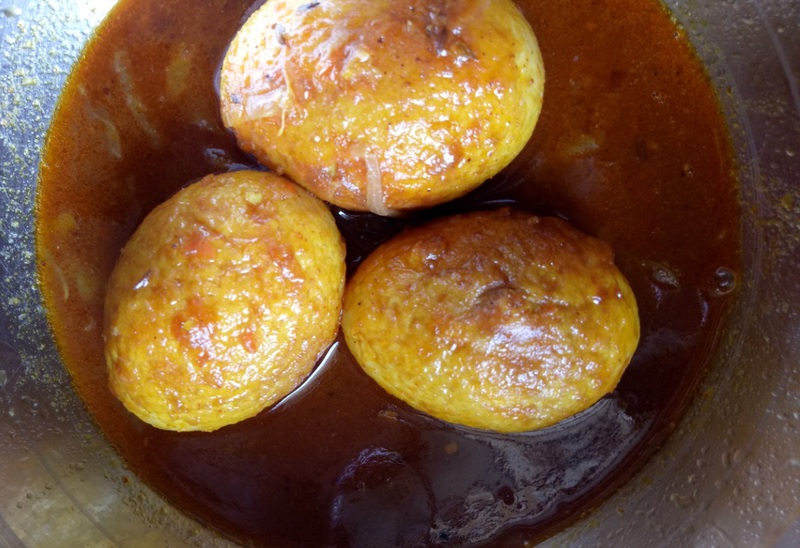 5. after 10 minutes add fry eggs. bring it to a boil , cover and simmer until it thickness. 6. next add garam masala and mixed it properly. switch off the gas/stove.